I have finally achieved greatness! Well, maybe not on that level but I feel ecstatic and its all because of this little guy. My brand new oven thermometer. My oven is old. Real old. I could even describe my oven as a relic. It’s a burnt-reddish-orange color and has wood paneling slapped all over. One of my burners is broken but other than that I thought I had a great oven. I mean it heats up so fast. It also matches with my dishwasher and fridge (haha)! This past Sunday, I woke up and had macarons on my mind. Without a second thought I jumped out of bed and went straight to my kitchen. I pulled out 5 large eggs and set them down on my counter. I paused for a moment and thought, “how long does it take for eggs to become room temperature?” I figured at least an hour or two. I then went about my usual morning activities before coming back to get started on my macarons. I pulled out the rest of my ingredients, including my digital weight scale and got down to business. It didn’t take long after that for me to realize that my weight scale was BROKEN! My whole morning was thrown off! I couldn’t just run out and buy a new scale. I live in a small southern town, Sunday mornings are always quiet. The one grocery store we have here does not open till noon on Sundays. I could have waited but I had prior commitments that I just could not break. So I ended up putting all my ingredients back in the cupboards and cooked my husband 5 boiled eggs. Which brings me to today. Luckily, my small town grocery store had a weight scale available for purchase. I got to try it out for my 2nd macaron post. Honestly, I think I prefer this scale. Okay… So I was a little more confident then I should have been. I wasn’t expecting my macarons to be flawless but I thought they should have at least been a little prettier. But first things first, the macaron recipe I’m using for this post was taken from BraveTart (This is the same recipe I used a few years back). The majority of macaron recipes tell you to weigh out your ingredients, including BraveTart. I never weigh out ingredients but for macarons I feel this step is vital. A few years back, when I was adjusting to motherhood, there was a French Macaron craze. 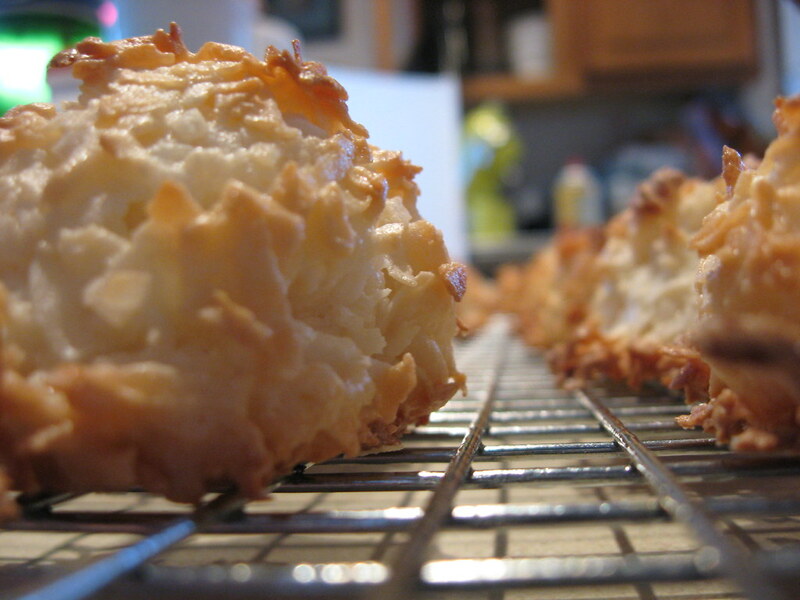 At the time, I was left wondering why Macaroons were suddenly trendy. I was living in Southern Saskatchewan (I still do today), a great distance away from any big cities, so I had to stay connected online. After doing a quick google search, I realized that I was mistaken about the type of Macarons my friends were talking about. I had originally thought they were talking about these kind of macaroons.